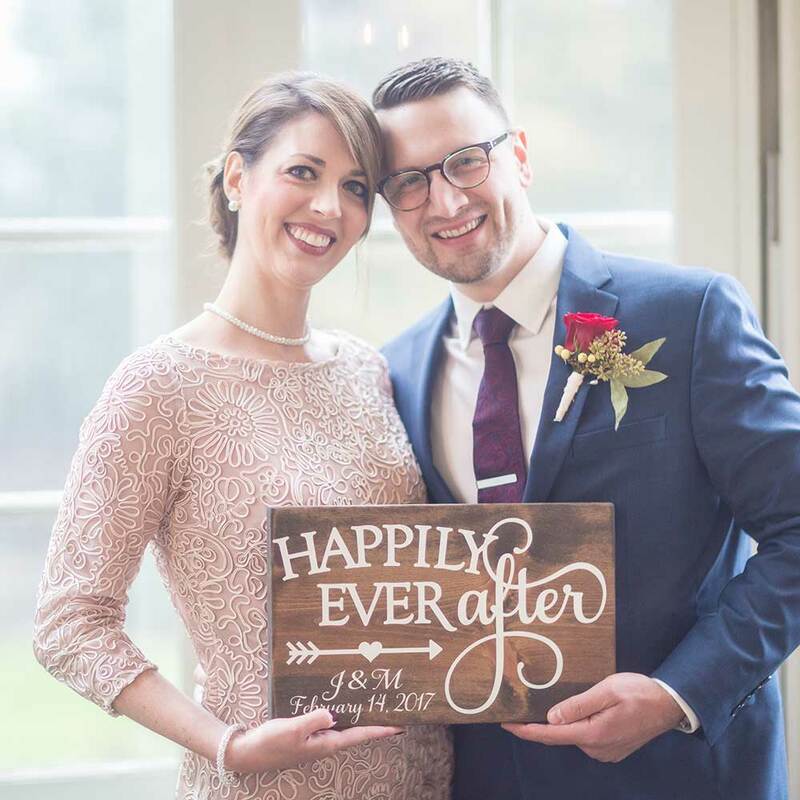 Melissa & Justin were married in a private ceremony at one of our Premium Locations, the historic Woodrow Wilson House near Dupont Circle. We absolutely loved the special touches like Melissa’s bouquet and the adorable mini-wedding cake they shared after the ceremony. Here’s what they had to say! Justin and I are from small neighboring towns in Western Pennsylvania. We met on New Year’s Eve, 2013 and had an instant connection! Neither of us had any plans of meeting a significant other that evening, so it must be true that things happen when you least expect them! Eloping was the best decision we have made. Justin and I were strangely hesitant about tying the knot, not because of a lack of commitment, but because we both wanted something different than the popular modern wedding. When we decided to take the plunge, DC Elopements provided us with exactly what we were looking for in order to make our day unique and unforgettable. We love to travel, and DC is one of our favorite cities. We admire Washington DC’s combination of rich historical landmarks and vast cultural diversity. We wanted our elopement to take place somewhere that holds a special place in our hearts. Working with DC Elopements was an amazing experience. From the moment we emailed to inquire about packages and pricing, DC Elopements was very quick to respond and offered many excellent suggestions. The ease of which it was to plan an elopement from home, while DC Elopements took care of our license application, saved us time and money. It was a pleasure to work with everyone involved in our special day. We really do not know where to start with the memories! There are so many! Justin and I could not have been happier with our officiant, Kiana. She was amazing. Kiana was very kind and professional. She crafted an intimate ceremony that we will never forget. Our photographer, Denis, was also so much fun to work with! He captured so many moments, from beginning to end, that we will always be able to look back on and remember our special day. We highly recommend DC Elopements to anyone looking to take the stress out of planning an elopement in the DC area!! !